Providing you with a challenging golf course, an exquisite place for receptions, banquets, & meetings with a unique ambiance restaurant. Let Canasawacta help with your special day! The Canasawacta Country Club has been a beautiful site for wedding receptions for over 50 years, and outdoor receptions have increased in popularity in recent years. Owned and operated by the Carson Family since 1985, wedding receptions are our specialty. The hassles and worries of outdoor receptions can make your wedding day more stressful than it needs to be. With our covered outdoor pavilion you will eliminate those worries. Our wedding Coordinator has handled hundreds of receptions of all types and sizes. You may rest assured, if your reception is at the Country Club, all of the arrangements will be taken care of for you. The Canasawacta Country Club has been a beautiful site for wedding receptions for over 50 years. 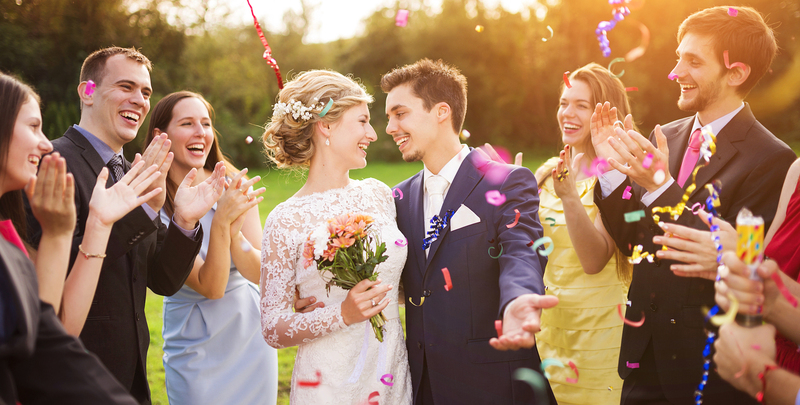 Owned andoperated by the Carson Family since 1985, we feel that wedding receptions are our specialty.Our wedding Coordinator has handled hundreds of receptions of all types and sizes. The many details involved canmake any couple nervous. You may rest assured, if your reception is at the Country Club, all of the arrangements willbe taken care of for you. The guest book, gift table, name cards, favors, table numbers, will all be attractively displayedin our beautiful banquet setting. 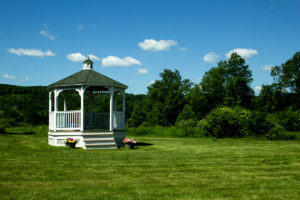 Canasawacta Country Club now offers a beautiful wedding ceremony site! As the trend toward outdoor ceremonies continues, we saw the need for a peaceful setting, secluded, yet within walking distance to the reception. The new ceremony site is complete with a 12′ by 12′ Gazebo, surrounded only by a spacious open field on a level hilltop with a backdrop of undisturbed hillside. The breathtaking view is sure to be a picturesque setting for many occasions. Welcome to Canasawacta Country Club in Norwich, New York! The Canasawacta Country Club has been a beautiful site for wedding receptions and banquets for over 50 years. Come Celebrate with us! Canasawacta Country Club, over-looking the Chenango Valley, spans 158 picturesque acres of rolling and hilly terrain. © 2017 Carson Family Enterprises, Inc. All Rights Reserved.